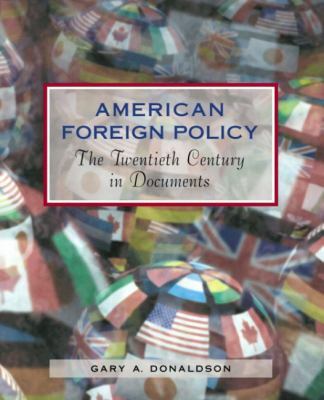 This collection of primary source documents is intended as a supplement to a U.S. Foreign Policy course that covers the 20th Century. Most sources appear in their full length so students can comprehend the entire document. This collection also includes several contemporary, opposing viewpoints, offering students an opportunity to consider different points of view.Donaldson, Gary is the author of 'American Foreign Policy The Twentieth Century in Documents', published 2002 under ISBN 9780321105066 and ISBN 0321105060. Loading marketplace prices 5 copies from $155.22 How does the rental process work?